Banks pass on rate hikes but not the savings.. Shame on the BANKS! On January 2015, the Bank of Canada cut the prime rate by 0.25%. But the BIG SIX BANKS didn’t cut the Prime rate as they normally do. Instead, they waited a week… tried to justify why they couldn’t cut the rate… and finally caved in and cut it.. but ONLY by 0.15%. It took a full week for the Banks to cut their Prime rate. Public pressure was too much to handle. Now, you’d think they would have learned something from this. I mean, Canadians are a conservative bunch, but everyone has their breaking point. Fast forward to July 2015. The Bank of Canada surprised the experts with another rate cut by 0.25% (not yours truly by the way, I was calling for a rate cut). And what did the BIG SIX BANKS do? Yup, you guessed it. They cut the Bank Prime rate by just 0.15% and pocketed another 0.10%. Are you kidding me? The hypocrisy is too much. The Bank’s coffers are getting fatter with record profits while forcing us to accept a rate diet. Come on Canada, make some noise. This just isn’t right! Bank Prime should be 2.75%, not 2.95%. Having said all this, I still like Variable rate over Fixed rates. 2.22% Variable sounds way better than 2.89% fixed. On a $300,000 mortgage, that saves you around$2300 per year. Stop and pause before jumping into Fixed rates. Remember who is winning and who is losing. Want more advice? Speak with an unbiased professional. Speak with an experienced Mortgage Broker. Previous Previous post: Bank of Canada rate hike.. it’s really not a big deal. Next Next post: Canadians bought more U.S. real estate than almost anyone else! so, if I could get a 2.00% variable closed 5 year, it makes more sense than a 2.59% fixed 5 year? Banks likely to hike again in october, as BoC heading that way, and saying it would like to be at 1.5% prime by end of 2018. that would put a variable at 2.75% in 18 months. What are the odds of a 1.5% prime rate in the next 5 years? Why pay a higher rate for the next 18 months just because we think that maybe rates could be just slightly higher than a 5yr fixed rate? And will the variable rate really be higher? That’s speculation. Already, we are seeing reports from anonymous federal government officials that they believe Bank of Canada may have moved too soon with the rate hike as inflation is low and the Canadian dollar is climbing too fast. This is bad for our exports and tough for Alberta and they’re heavily reliant oil economy. Mortgage rules have become so tight that its never been harder to get a mortgage in my 28 yr career than it is today. The govt is getting their wish of a slower housing market. I guess that’s good. But they better be careful what they wish for. I’m on the front line. I see qualified Mortgage applications being declined because they no longer fit in the shrinking mortgage qualification box. What had long been considered a quality mortgage is now, somehow, a risky loan that can no longer be funded with AAA rates. These borrowers are being pushed out. So, I question if the economy can be as positive as some of the media and economists portraying. 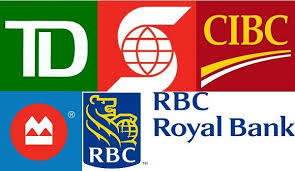 CanadaMortgageNews.ca Banks pass on rate hikes but not the savings.. Shame on the BANKS!